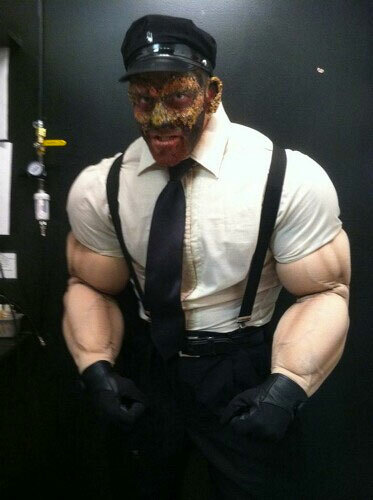 The body builders at Flex Design Costumes might be the only body builders on earth who can guarantee they'll jack up, carve out, and rip your muscles to shreds with absolutely no effort on your part beyond telling them what you want to look like. You can even choose to go head-to-toe Mega Giant in kelly green without spending 4 hours a day at the gym and choking down your weight in kale and seaweed. 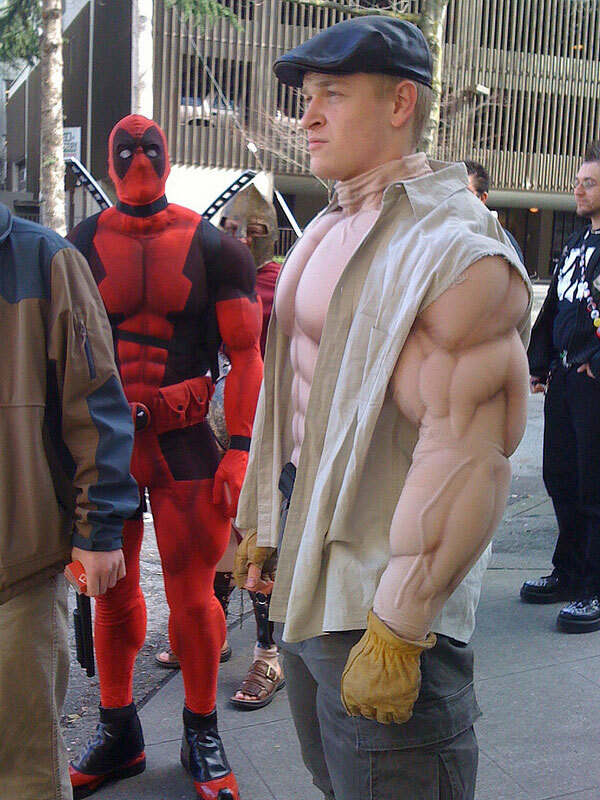 No steroids either, so that should save you in pill costs what you'll spend on one of Flex Design's stellar Muscle Suits. And if being circa 1980 Arnold in a full-body nylon/Lycra unitard on a daily basis isn't your thing, the costumer's line of Muscle Suits would also, obviously, make a standout selection for your next...and all future...Halloween, Comic-Con, and cosplay ventures. 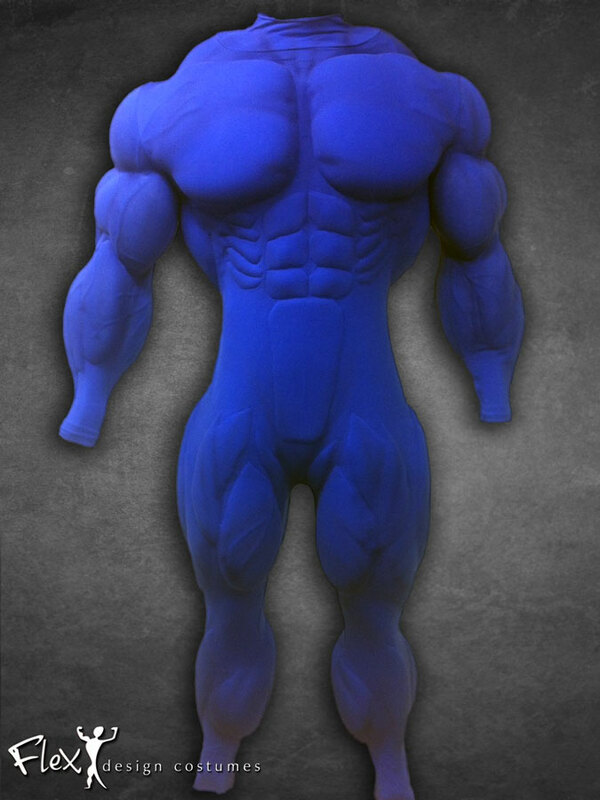 Flex Design builds Muscle Suits in 5 fits, ranging from Lean to Mega Giant. They'll also make a custom fit suit by request, as well as offer suits for the upper body only. As a point of reference, the company says their Standard Muscle Suit "provides a nice athletic tone and build that would fit a Spiderman style costume." 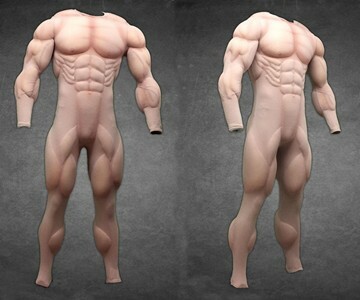 Muscle Suits are constructed to be as lightweight as possible and provide maximal flexibility and range of motion. Each is made by hand, with individual muscles set specifically to correspond with anatomical correctness to the height and build of the person wearing it. When placing an order, buyers select from one of two dozen different colors for their suit, plus have the options of adding air brushing and veins to complete the look and create a more realistic effect.